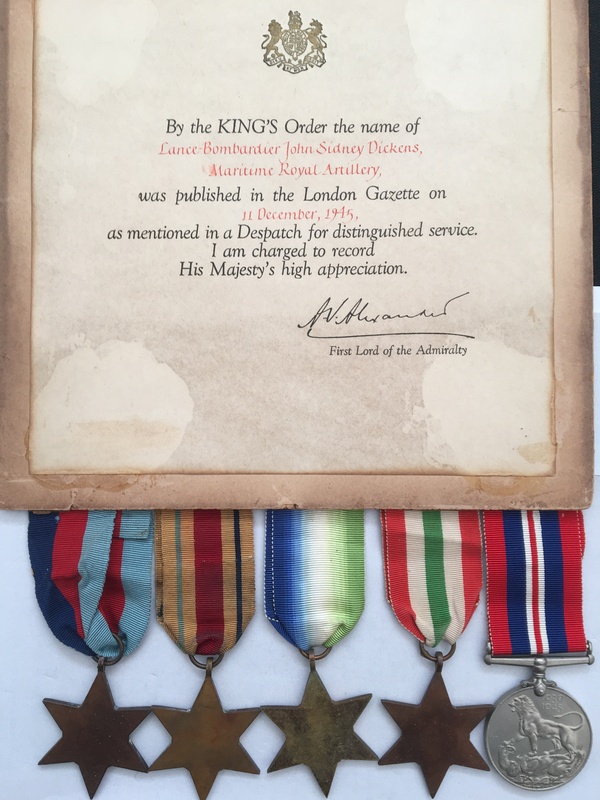 A very rare WW2 Maritime Royal Artillery, Mentioned In Despatches medal group awarded, to Lance Bombardier John Sidney Dickens of the Maritime Royal Artillery. When WW2 commenced, it became clear that unarmed merchant ships were particularly vulnerable to attack. In many cases merchant ships were subsequently armed and this regiment was formed to train personnel to operate the gun placed on what became known as ‘Defensively Equipped Merchant Ships’ or ‘DEMS’. More details in regards to this regiment can be viewed by clicking on here. 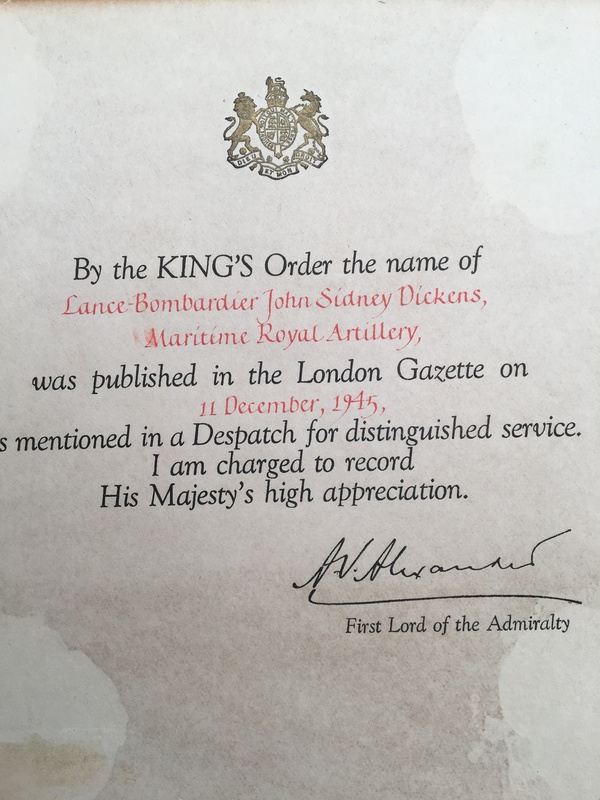 Dickens was Mentioned In Despatches in December 1945, his London Gazette entry can be viewed by clicking on here. I have undertaken no further research in regards to this man. Africa Star (Clasp NORTH AFRICA 1942-43) unnamed as issued. 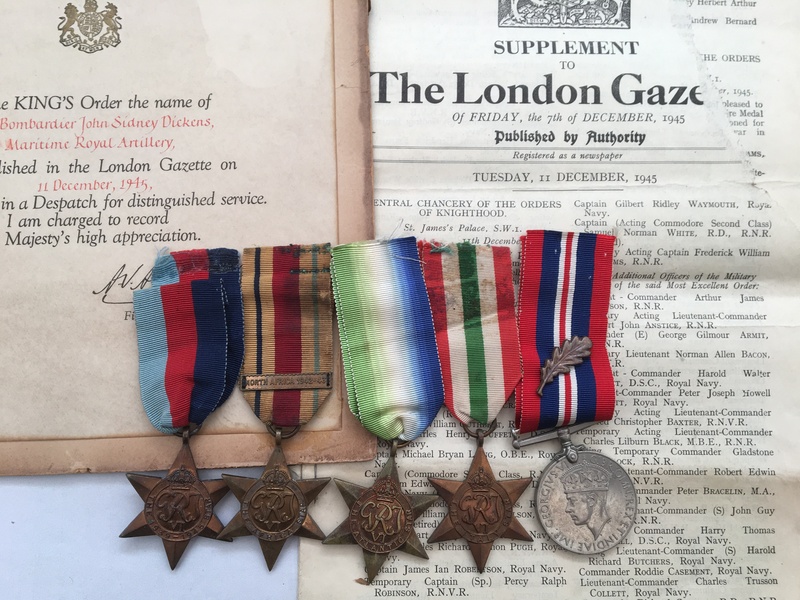 British War Medal (with MID emblem) unnamed as issued. 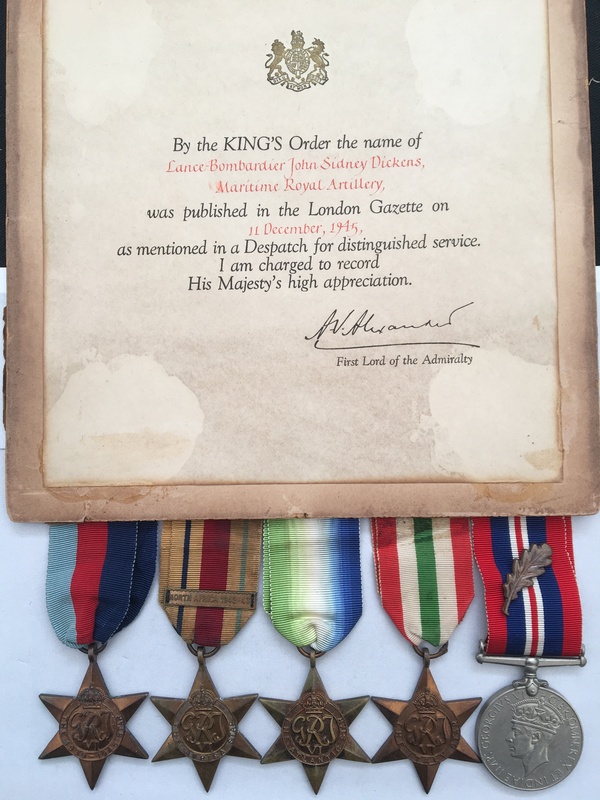 The medals are supplied loose with the remnants of their original ribbons along with the original Mentioned in Despatches certificate and a original (not modern copy) of the London Gazette that details his MID.